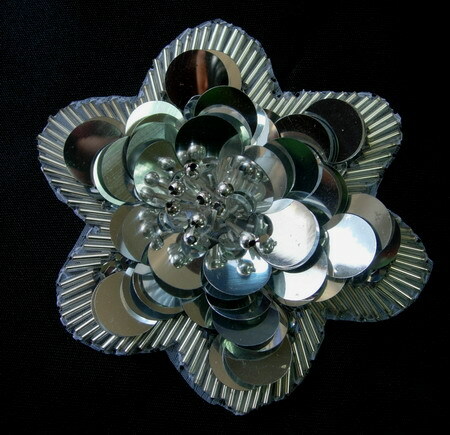 FW201 Sequin Beaded Applique Paillette Tier Flower Motif Silver, 100% handmade with sequins, paillettes, bugle and beaded. Sequins appliques are an exciting accessories for enchancing your warbrobe. Change your style to SPECTACULAR ! great for belly dancedress, skating dress, tutu dresses , holiday dress, Christmas dress or any projects. Size: 3 7/8 diameter" approx.